Now that you’re a mummy you probably think Valentine’s Day is just another romantic event that abandoned you as soon as kids came into your life. But romance isn’t lost, and it does not have to be just about you and your partner, or a night at a pricey restaurant. 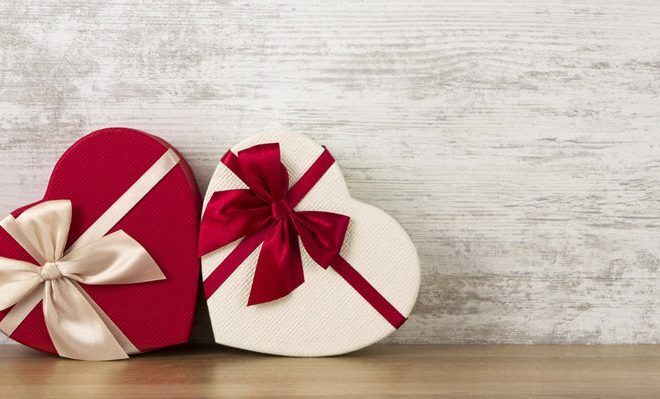 We have rounded up oodles of ideas for you to get your Valentine’s Day groove on, either with the kids or when the little tykes are in bed. For something simple, make red and pink paper chains and hang them from the ceiling, or cut out heart shapes to stick onto the walls and windows. Load up the table with craft paper, markers, crayons and paints and have the kids make you and your spouse homemade Valentine’s gifts. If a restaurant is out of the question, prepare a romantic meal at home to be devoured once the kids are in bed. Lash out with rich pasta and chocolate covered strawberries for dessert. Even try your hand at sushi. If cooking for the kids and then for yourselves is too much, order take-out from your favourite spot. At least it will be a meal devoid of chicken nuggets and alphabet spaghetti. A tea party at snack time with the kids will take carrot and celery sticks to a whole other level. Consider serving finger sandwiches with strawberry jam or cream cheese, homemade cookies and of course, tea. Invite a few of the kids’ friends along – real or imaginary. Set up a section, photo booth and all, and have fun with your spouse and kids taking photos accompanied by props such as balloons, streamers, decorations, funny hats and glasses. The sky’s the limit when it comes to props. Grab the popcorn, cookies and lollies, and snuggle up on the couch for family movie night. There are plenty of cute Valentine’s Day films for kids – ‘Beauty and the Beast’, ‘Ever After’, ‘My Girl’ and ‘The Lion King’. You can’t go wrong with Disney. You won’t go wrong whipping up some chocolate brownies or strawberry heart-shaped tarts for dessert. You will impress not only the kids but your partner with some homemade delicious goodness. When the kids are in bed watch a romantic movie together; one that doesn’t have talking dogs or dragons. Watching a film with real adult actors will take you back to the good old days when you went on actual dates to the movies with your special person. Give yourselves a little pampering by taking a bath together. Fill the bath with your favourite bubble bath. Lash out on some rose petals and have some kid-free relaxation. When the kids are in bed stick on some romantic songs from your playlist, anything that isn’t sung by talking pigs or dinosaurs. Turn up the heat with some candles and give each other a relaxing massage. 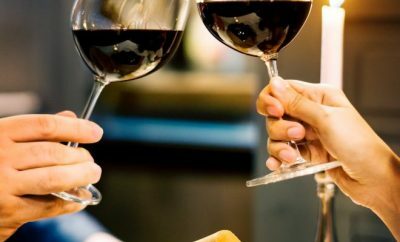 Even bring out a bottle of wine or bubbly and enjoy the conversation that doesn’t revolve around childcare and school pick-ups and drop-offs. Take a day off work so that you and your partner can enjoy a day date without the kids. Shhh… we won’t tell your work. Take a trip to the movies; go out for a romantic lunch; take a trip to the art gallery. Even surprise your partner with some Valentine’s Day flowers or gourmet chocolates. After long days at the office and looking after the kids you might even prefer a day at home just hanging out together. Remember the days when you burned CDs adorning your favourite songs for each other? Make a nostalgic playlist for your spouse that takes you back to your dating days. Pour yourselves a glass of wine, turn up the volume and reminisce about the good old days. Once the kids are in bed snuggle up on the couch together and browse Netflix for some kid-less entertainment. Indulge in a paid rental on iTunes or Google Play for something a little extra. Now you have some creative ideas for Valentine’s Day with the kids or when the kids are in bed. 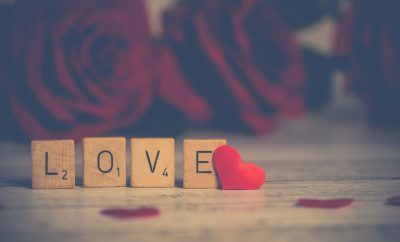 Enjoy it while it lasts though because it will be a whole year before you get the opportunity to indulge in this special romantic time with your partner again.